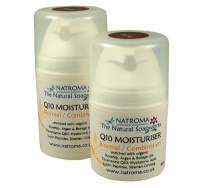 Natroma aromatherapy goat's milk soaps, organic hot cloth facial cleansers, hydrolat toners, moisturiser creams, natural cosmetics and bathing products are handmade in England. 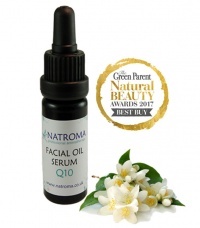 Natroma produces only the finest natural, organic cruelty-free skincare that's handmade containing luxurious moisturising ingredients and aromatherapy grade essential oils. 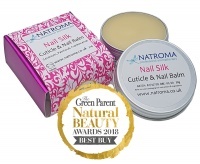 Natroma is a handmade cosmetics brand by The Natural Soapworks, a small English aromatherapy skincare company based at the Ruskin Glass Centre in Stourbridge in the West Midlands. We started our family business in 2006 and quickly became known for our creamy goats milk soaps, formulated especially for customers with eczema, psoriasis and sensitive skin conditions. 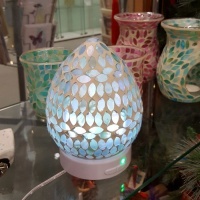 Our handmade aromatherapy skincare range includes organic facial cleansers, toners and moisturisers, relaxing bathing and soaps and luxurious skincare gift hampers. 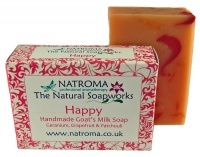 We guarantee our Natroma goats milk soaps and aromatherapy skincare are made with skill, knowledge and care so their ethical botanical ingredients can naturally support sensitive skin. Our skin-kind products are formulated by a Clinical Aromatherapist and are approved by Cruelty-Free International under the Humane Cosmetics Standard. You will see the official 'Leaping Bunny' logo on our product packaging to show we are do not conduct or commission any animal testing on our skin care products or their botanical organic ingredients. We think that commercial skincare can contain too many harsh, synthetic ingredients so we offer an alternative for customers seeking a more natural skincare approach. We ensure that our naturally active facial cleansers, moisturisers and goat’s milk soap, contains generous amounts of natural oils, butters, organic hydrolats (flower waters), aromatherapy grade essential oils and botanical extracts to provide lasting skincare benefits. Our gentle formulations suit all skin types and are perfect as unique skincare and bathing gift ideas for family and friends. We use recyclable gift hampers, beautifully prepared so they can be given as affordable gifts for Christmas, Mother's Day, Father’s Day, birthdays and anniversaries. At The Natural Soapworks we know what it's like to have sensitive skin (we started the company because we suffer with eczema ourselves). We know that the key to having more comfortable, less itchy skin, is to avoid using cosmetics with cheap, synthetic ingredients. When you make a purchase from Natroma you can be guaranteed that our products do not contain synthetic colours, fragrance oils, detergents like SLS, parabens and petrochemical derivatives. We think the best natural beauty products use gentle moisturising organic botanical oils and (shea and cocoa) butters combined with the therapeutic benefits of aromatherapy and essential oils. Our natural skin care products do not have expensive price tags, because we want our customers to be able to use our handmade goats milk soaps and facial aromatherapy creams each and every day. 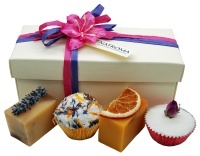 So we invite you to be kind to your skin, or treat your family and friends to some natural goats milk soaps and beauty gifts from Natroma handmade aromatherapy skincare.